Oil filters are used in cars to eliminate any impurities which can damage the internal structure of your car engine. Contaminated or impure oil can threaten other parts of your car too, thereby opening a can of worms. 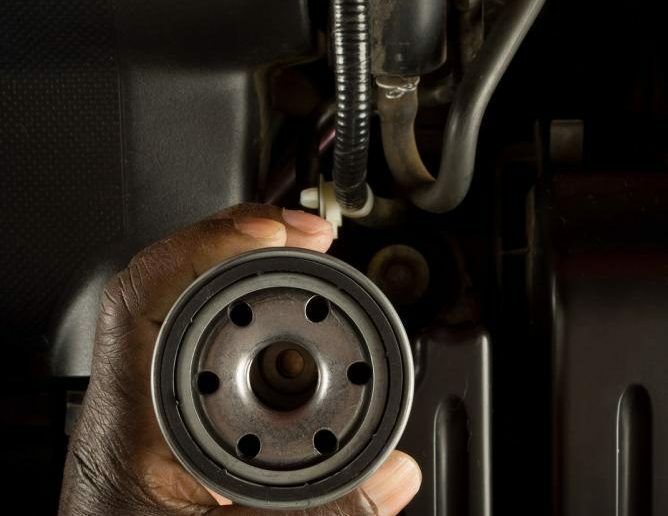 Hence, you must keep a lookout for a number of signs to ensure that your oil filter works fine and is replaced in time. Failure to comply can trap you into bigger maintenance issues and costs. Perhaps, one of the most visible indications about a sign to replace your oil filter is the overall performance of your car. Closely observe your drives and check for any irregularities in your rides. In case, your car is struggling to pick speed and you are unsure about the working of the accelerator then clearly something is amiss. If your oil filter has an issue, then you might hear the sound of your engine but it cannot fully generate the needed output. When cars are driven in this state for longer periods of time, then it can have a severe and serious damage to other parts of the car. Therefore, do the needful and see if you need to replace your oil filter. When there is a dearth of oil in car engines, then metal components rub against each other which may produce noise sounding like something “metallic”. Whenever you begin to hear such types of metallic sounds, stop your car quickly or you could potentially be looking at a massive repair job. For such scenarios, ask a mechanic to repair your oil filter and put additional oil in your car. On your dashboard, you can easily check the oil pressure gauge during your drives. If you notice a quick decline in that gauge, then it is not something which should be neglected. Usually, oil pressures do experience a decrease but only a little lighter one. However, unusually quick changes in the pressure may pose serious problems for your car. When certain foreign elements clog an oil filter, it affects the car exhaust. As a consequence, the exhaust which comes out of your car can be either dirty or black. During such situations, a smell is also produced which seems as if the passing oil is “burning” in the pipe of your exhaust. Whenever you detect such types of smell, it is an immediate sign that your car requires some help. Most probably, your oil filter has to be changed; the oil system has to be cleaned, and sludge has to be eliminated. If you believe that you can do it all by yourself without the assistance of a mechanic, then do contact us so we can provide you with a high-quality oil filter. As a car-owner, you cannot expect your oil-filter to last forever. Experts believe that oil filters must be replaced after a 3-month interval. If you find any issue with your oil filter then do not worry, we have one of the options for you. Do go over oil filters and make an informed decision.